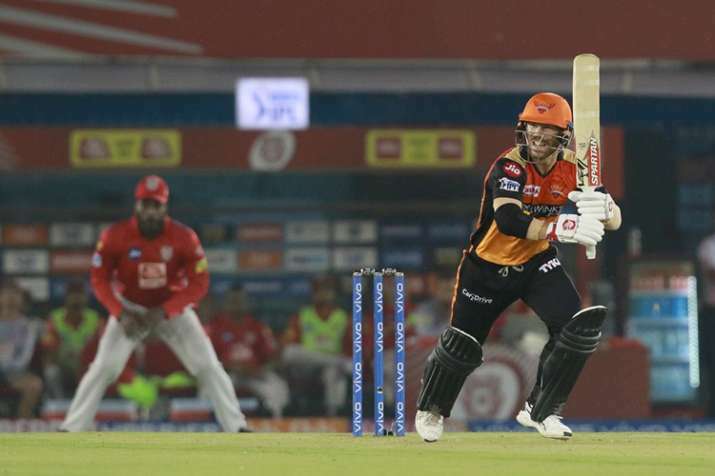 David Warner, the Australian cricketer, and current Sunrisers Hyderabad player scored 70 not out against Kings XI Punjab on Monday, recording seven consecutive fifties against Kings XI Punjab in the Indian Premier League (IPL). Warner has scored 58,81,59,52,70*,51,70* in his last seven matches against Kings XI Punjab. The left-hander now becomes the first batsman in the history of the tournament to have seven consecutive fifty-plus scores against two teams.